This is a game called “Honey or Ivy”. The winner is the person who identifies the bee correctly. 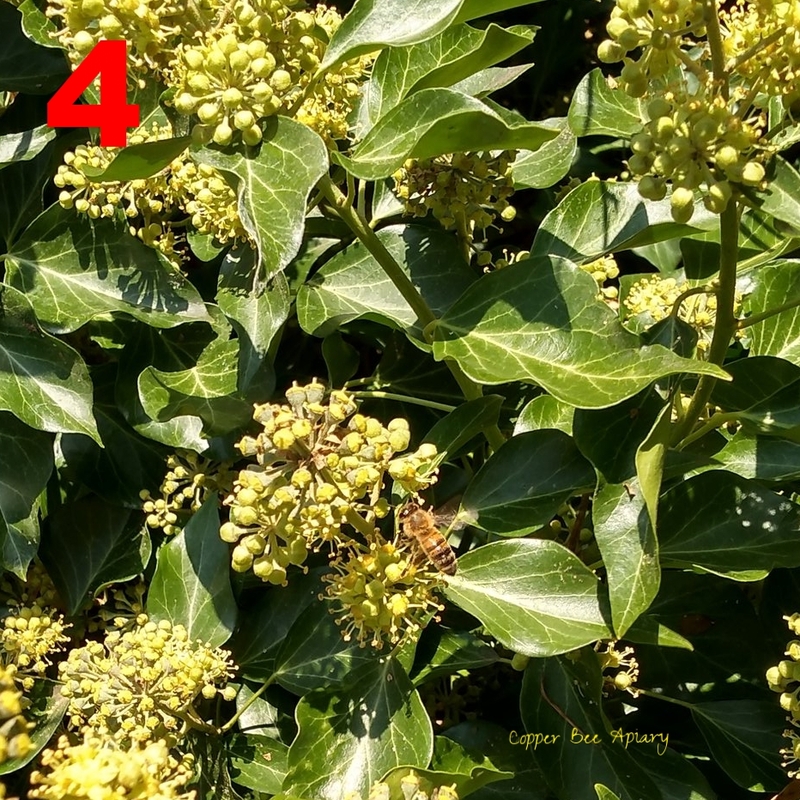 The key information you need to be able to play and win this game is: (i) ivy bees exist; (ii) ivy bees like ivy; (iii) honey bees like ivy too; (iv) ivy bees and honey bees look a lot alike but ivy bees have sharper stripes. A. She’s a Honey bee. A. She’s an Ivy bee. 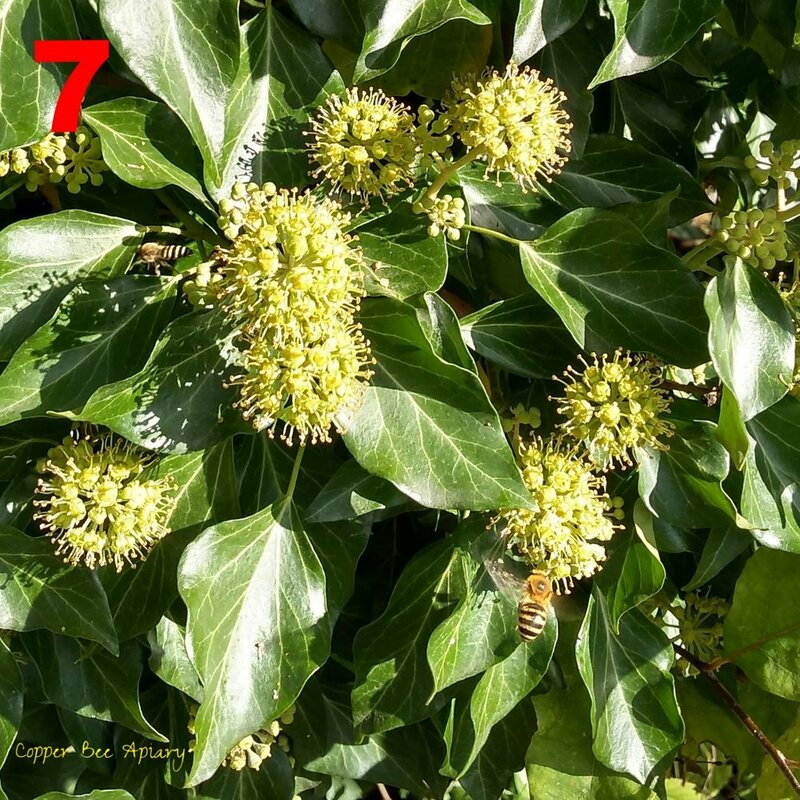 Answers: 1) Honey; 2) Ivy, Ivy, Ivy; 3) Honey; 4) Honey; 5) Ivy, Ivy; 6) Wasp! 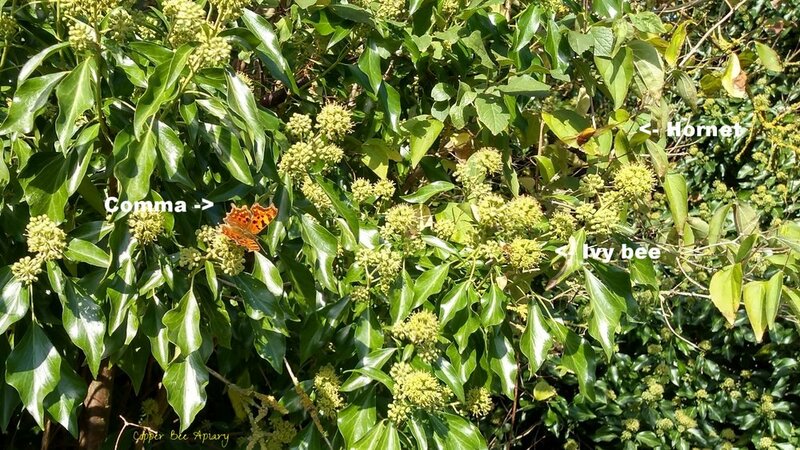 7) Ivy; Ivy; 8) Honey; 9) Ivy; Comma. Award yourself a bonus point if you got the, butterfly. The apiary has masses of ivy, which is wonderful. It’s popular with the hornets too. I’m not sure whether they use it as a hunting ground or whether they like the pollen/nectar too. Maybe both. Is it any wonder I want to spend all day in the apiary?